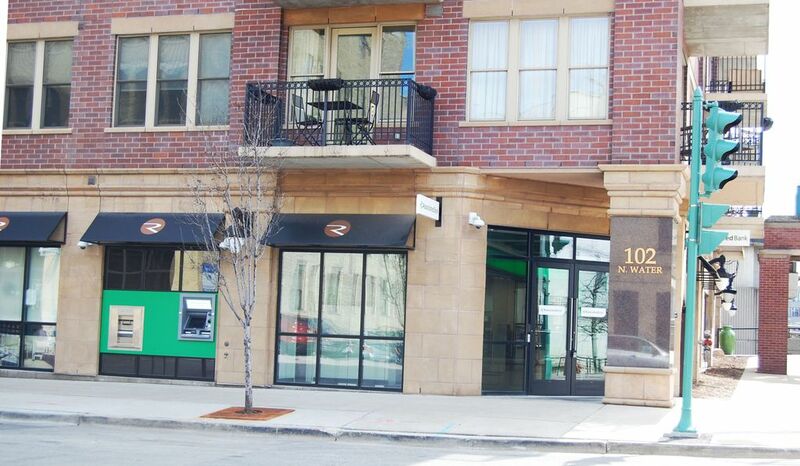 MILWAUKEE – April 20, 2015 – Associated Bank today opened a new branch bank at 102 North Water Street in Milwaukee’s historic Third Ward neighborhood. This follows the opening last fall of Associated’s Haymarket branch with an award winning design as well as a community park in the Park East corridor of Milwaukee. Located at the corner of Erie and Water Streets, the new branch offers a design and format exclusive to the Third Ward community. This 2,691 square foot, full-service branch features a teller lobby and two 24-hour deposit-automation ATM units. A digital demonstration zone located in the lobby allows customers to sign up for online banking, interact with Associated Bank’s mobile applications, and access online loan origination capabilities. A bank concierge will help customers utilize Associated Bank technology to enhance their overall banking experience. In addition, Associated Bank’s first virtual teller is slated for installation in the branch before the end of this year. Branch Manager Kelly Ostricki brings 17 years of banking experience. In addition to consumer and business/commercial banking services, Ostricki and her team offer a full array of banking services including checking, investments and mortgage services at the branch.